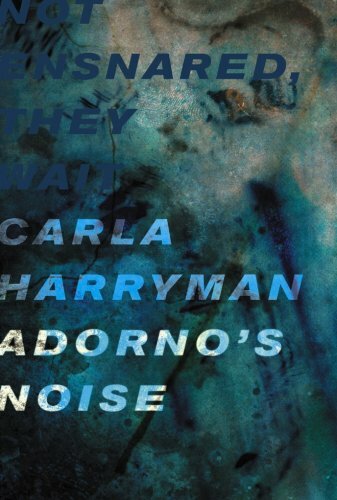 Carla Harryman’s work always seems to reward repeated readings and her 2008 collection of essays, Adorno’s Noise, is no exception. Her book is remarkable not only for the many threads it ties together but also for the ends that are left loose. It shuttles across generations and cultures: from Theodor Adorno and Anais Nin to Kenzaburo Oe and Robert Smithson, from William Blake to contemporary noise artists. Each essay is effective on its own, but when read together the reader is able to appreciate the intricacy of Harryman’s arguments. Theodor Adorno’s Minima Moralia: Reflections from Damaged Life (1951) serves as both the springboard and organizing framework for Harryman’s book. 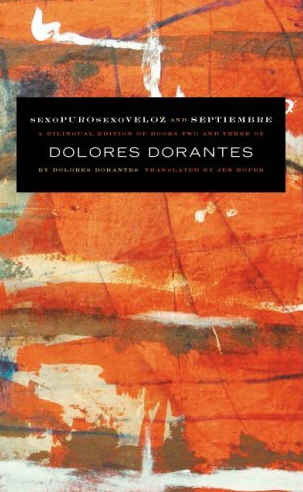 Adorno’s book of short essays attempted, in his words, “the teaching of the good life” in as much as that was possible in an era of increasing dehumanization. As he states, one “who wishes to know the truth about life in its immediacy must scrutinize its estranged form.” But for Harryman’s purposes, Adorno is both an inspiration and a foil. 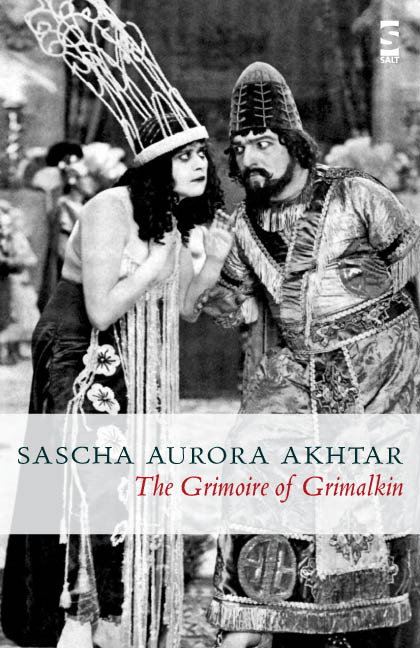 While each section heading is clipped directly from Minima Moralia, she chose the phrases that sounded the least like Adorno--her attempt to liberate his project from its linguistic heaviness and fatalism. Harryman uses a variety of strategies to prod and confront Adorno’s framework. Perhaps the most overtly philosophical section is titled “Regard for the Object Rather than Communication is Suspect.” After considering the types of world in which this statement can be considered correct, Harryman proceeds to show that suspicion of “the Object” is not nearly as important as suspicion of the process of Objectification. This objectification is personified by a young Robert Creeley, whose introduction to The Gold Diggers (1954) she cites in the book. “The story has no time finally. Its shape, if form can be so thought of, is a sphere, an egg of obdurate kind.” This conception of story represents for Harryman how enclosed and static structures become suffocating: “Once I dreamed of an obdurate egg. It was strangled in twine.”(167). But then the basket is stood upright and Harryman narrates, as if narrating a performance, the act of outstretched hands reaching slowly into it. What is pulled out is a severed head. And her spectator is not surprised. “…this could be the head of John the Baptist, yet another version in an almost numerically exhausted sequence of versions.” (27) This severed head repeatedly pulled from the basket visually conforms to Adorno’s assertion that society has reached a point where “normality is death.” An anxious circulation has bled the life out of both objects and subjects. Nevertheless, this “normality” is not fate for Harryman. Her answer is an artistic practice that is able to infuse new blood into the corpses with which we are surrounded. In Adorno’s Noise, Harryman is both haunting and haunted. Highlighting her tendency toward irreverence, Kit Robinson has observed that “against Adorno’s grumpy old man, Harryman proposes an altogether lighter yet still obdurate figure: the radical sylph.” While this sylph does haunt the work, Harryman is also haunted by questions of commitment and efficacy. In the essay “Anachronistic Doggedness: Noise at the Graveside Lecture Notes,” she juxtaposes marginal comments to a lecture (or is it a eulogy) with what may be critical student evaluations. She thinks out loud whether even this act of writing has a future. “problem to consider: should “I” publish, archive or throw away these lecture notes?” (76) The destiny of her writing is contrasted with an apparently immortal archival system that allows Henry Kissinger, for example, to be excluded from his own “war crime archive.” Of course she asserts that Kissinger does indeed belong in her war crime archive, but the later remains unsanctioned and precarious. The first section is followed by five further sections, each one inserting propositions between the previous ones, generating a geometric spiral of mutually exclusive states. By the final section, each of the initial propositions become separated by between 24 and 38 propositions, for a grand total in the last section of 288 propositions. Every proposition involves a potential choice. Some are states of activity (“writing a poem”), some representation (“being remembered for her politics”), some effects (“bothering someone”), as well as feelings (“dying to get out of here”). On one level, this chapter can be read as a parody of the either/or choices that “define” our lives, an exercise made ridiculous by the constant inversion of its assertions. On the other hand it can also be read as an infinite inward focusing on each micro-level decision at play, a process that takes us further and further into the infinitely atomized negotiation of existence. Sometimes the linking shows a process of accommodating to society’s demands: “in sitting in front of the television she is not watching Fox News in watching Fox News she is not going to give up in giving up she is not moving to Mars tomorrow in moving to Mars...” (108) Other sections show the connection between various emotional investments and their political consequences. The work expands like a nautilus in the six sections, roughly proportioned according to the golden ratio. But this is not an exercise in perfect symmetry. Harryman inserts extra propositions now and then (like “getting out of here in one piece” in section three) causing parts of the nautilus to stretch. Likewise, a few propositions disappear entirely midway (like “hosting a banquet” after section four) never to be seen again. In this way, Harryman bends the procedure in the process of creation, much as a musician would “bend a circuit” in noise music. For those unclear as to what is meant by “noise music,” it refers to a popular underground genre of performance that, in part, involves musicians designing their own instruments out of mixing boards, oscillators and patch cables, then utilizing the resulting feedback and distortion to produce unique cascading loops of sound. Harryman sees the significance of this movement. “In the words of noise artist Jessica Rylan [http://www.myspace.com/cant] there is ‘enough unpredictability that you really have to focus on it.’” (26) Clearly “Beware of Seeking Out the Mighty” adopts the ethos of this genre and performs a type of textual circuit bending by feeding back the original propositions through a continual, additive process, where text accumulates its own feedback and cascades into a type of textual noise. The desire to effectively perform this “live” element fills the final chapter “The Opposite of Slackness: Orgasms.” The “live” is the challenge to all human relations: love, art or politics—the necessity of abandoning a false passivity for activation. The “live” entails an abandonment to what often presents as Noise. However Harryman submits that Noise is necessary to rescue the productive Adore from its immobilizing No. 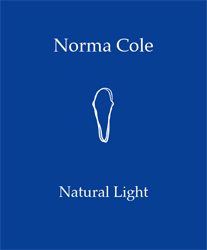 Always on the cutting edge of genre innovation, collaboration and performance, Carla Harryman is the author of fourteen books including There Never Was a Rose Without a Thorn (City Lights, 1995), The Words, after Carl Sandburg's Rootabaga Stories and Jean-Paul Sartre (O Books, 1994), Gardener of Stars (Atelos, 2001), Baby (Adventures in Poetry, 2005), and the book-length poem Open Box (Belladonna, 2007). She is also one of ten authors of The Grand Piano, a collective autobiography by key players in the San Francisco Bay Area Language Poetry scene. Carla Harryman currently teaches creative writing at Eastern Michigan University. Adorno's Noise by Carla Harryman. Essay Press, 2008. 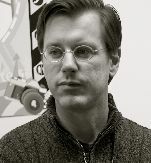 Pat Clifford is the author of several chapbooks including A story by fair: Rules for Radicals (2006) and Ring of Honor (2007), chaturangik/SQUARES(with Aryanil Mukherjee, 2009). His poetry and prose have appeared in Boog City, Jacket, Helix, Sunday Indian, Kaurab, journey90s, Moria etc. An independent lit-scholar, Pat has read in the SUNY, Buffalo, Bangla Academy in Kolkata, India and in workshops in San Francisco, Louisville, KY and Kolkata. 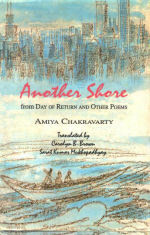 His poetry has been translated into Bengali. Pat is the director of a homeless shelter in Cincinnati, Ohio.